September begins, a magical time of late summer sunsets, cool evenings, changing colors, and the promise of darkness. 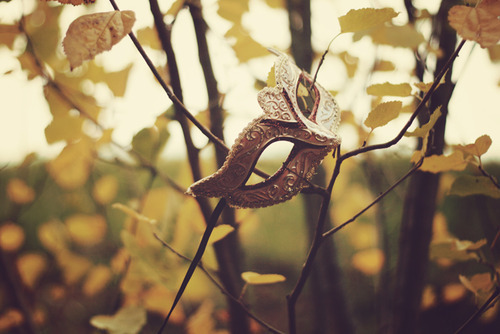 As the leaves fall to cover the green earth in readiness for winters snow, this fall I'm very inspired by the mask. foil, feathers, paper, sequins, leather - and yes. fringe. Would you like to have a mask making party with us? one, two, three & four, five, six, seven.